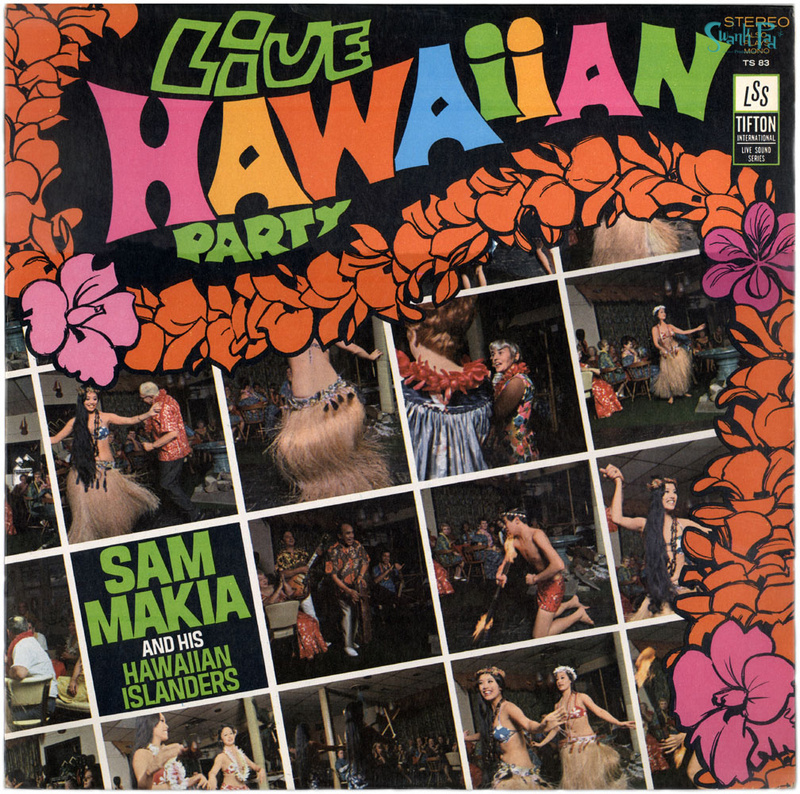 More ripped live Hapa Haole vinyl. I had recorded this record in 2007, but just recorded it again. It appears to be from the 70s. Looks like the dying end of the Tiki Epoch. Everyone in the images is elderly. The show was recorded in the Malia Polynesian Room in Asbury Park, NJ. I find no internet record of this place existing. Sad, as Sam Makia made one of my all time favorite records. Take it as you will. Fabulous post, makes my want to pick up a mai-tai. GREAT LP, am totally digging this. Any chance of a scan of the back cover? Am curious to the tracklist and am not having much luck finding it out there. just spent a couple hours parusing your fab. site. I just last week found a mug from Kahiki in a junk shop and it hit home after seeing your blog on the closing of that great icon. Kudos to Tiki Skip. Thanks for sharing! The “late days” of the Poly-Pop phenomenon are sadly documented (both online and off, from what I can tell). This is a really great record!